Lifts may make you think of many things, Charlie & the great glass elevator perhaps, or a slight feeling of vertigo. But one thing is for sure – soaring, multi-floor glass lifts are timeless, and because of the gorgeous views they can offer they never go out of style. Here are some of our favourite views from London’s sky high lifts. There’s a lot of hatred for this office and shopping centre, but it’s saving grace may just be its dazzling lift. As you climb the building in this elevator you are offered a world class view of St Paul’s Cathedral that you won’t get anywhere else in London. The lift has saved the day for a rather despised London building, giving people reason to visit the building even if it doesn’t pique their retail or architectural interests. Just like the London sky line, there would be an empty space between our humble skyscrapers if we didn’t mention the Lloyds building. The external lifts scales the side of the building and offers you a great view of the surrounding area. Depending on your feelings on heights this lift could potentially be your worst nightmare. But for those who don’t get dizzy with altitude, this is an upward adventure worth taking in the city. Even when punters found the food and drinks costs sky high, they were still impressed and excited about Heron Tower’s spectacular lift ride. 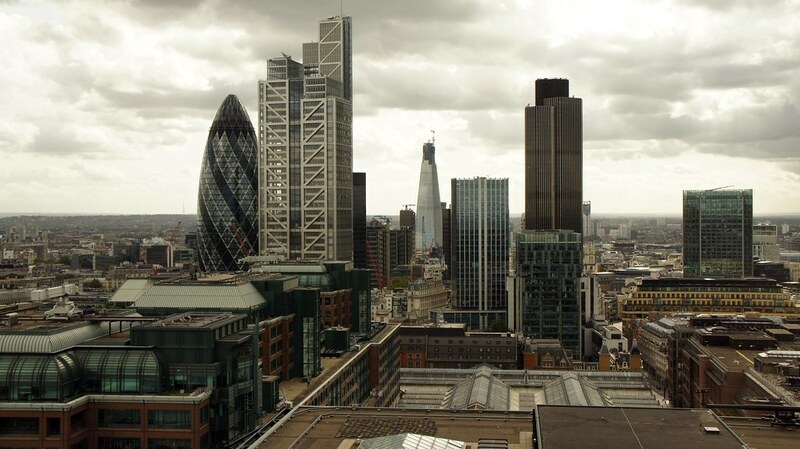 It offers an incredible view over the tops of London buildings in the city. Afterwards you can sample some cocktails at the famous Sushi Samba and enjoy you can see London’s lit up skyline at night which is always a great view. Just try not to have one cocktail too many! The joy of this lift does not lie in the views, but has earned a place on our list for pleasing our other senses. While there are some nice views over the South Bank, the real appeal of this lift is that it sings. A singing lift is a pretty wonderful thing. As the lift ascends or descends it sings to use, the notes getting higher or lower. Though it may be on the silly side, it’s the perfect lift for Royal Festival Hall – besides, how often are lifts able to make people laugh?